Fall: It’s a time to embrace change and make new plans as we move forward, pre­paring for a new year and welcoming all that will come our way. Here at The Art of Living Well, you may have noticed a big change recently, and we hope that you’re just as excited about it as we are. 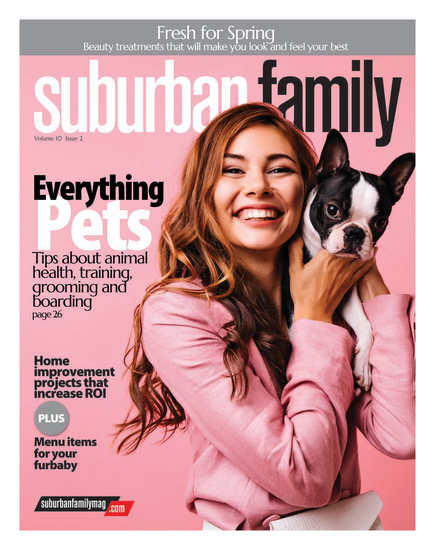 Parent company Del Val Media recently brought on The Art of Living Well and combined it with another well-respected local brand, Suburban Family magazine, creating a more comprehensive product that we feel better serves our readers. Health and family—they go hand in hand and, really, what’s more important in life? We’re just four issues in now, but we’ve already been able to bring a number of important health-related topics to our Suburban Family readers such as the benefits found when combining chiropractic and massage therapy, choosing the right family dentist, as well as picking the best care for your aging loved one—whether it’s assisted living or, in this issue, at-home care (a story you’ll find on page 2A). To our Art of Living Well readers, we’re now delivering the best in regional family lifestyle stories, such as the latest trends in back-to-school fashion, a local high school report card, and in this edition—our 2012 high school Winter Sports Preview, giving a look at the best competitive action you can expect this season.